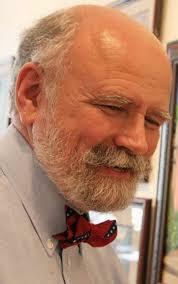 Born in 1950 in Petersburg, Virginia, Henry Kidd is a lifelong resident of Colonial Heights. He grew up playing on the battlefields surrounding Petersburg and has studied the war and its’ people extensively. He has a great passion for this period of American history. To him, it is more than mere history, it is family pride. Many of his ancestors followed General Robert E. Lee into battle. Henry is a graduate of VirginiaStateUniversity and served six years in the US Army Reserves as a Sergeant. He has worked nearly thirty years for Philip Morris USA. Henry is a nationally recognized historical artist. His fine art has appeared in documentaries on the History Channel and on covers of many books and magazines. He designed the Confederate Medal of Honor. His artwork hangs in many prestigious institutions and museums such as West Point, Virginia Military Institute, Mariner’s Museum, Museum of the Confederacy, Petersburg National Battlefield, the Virginia Historical Society and others. Henry is an authority on the war and a sought after lecturer. He has received many awards for his art including more than one best in show. However, the two awards he cherishes the most are the one he never expected to receive. During the Gulf War, he created a piece of artwork to honor and support our fighting forces. He made and sold limited edition prints of his work and gave one-hundred percent of the proceeds to the American Red Cross for the families of military personnel. In recognition of his generosity, Elizabeth Dole, then president of the American Red Cross, presented him with an award. Henry and his family were also personally thanked by General Schwarzkopf.